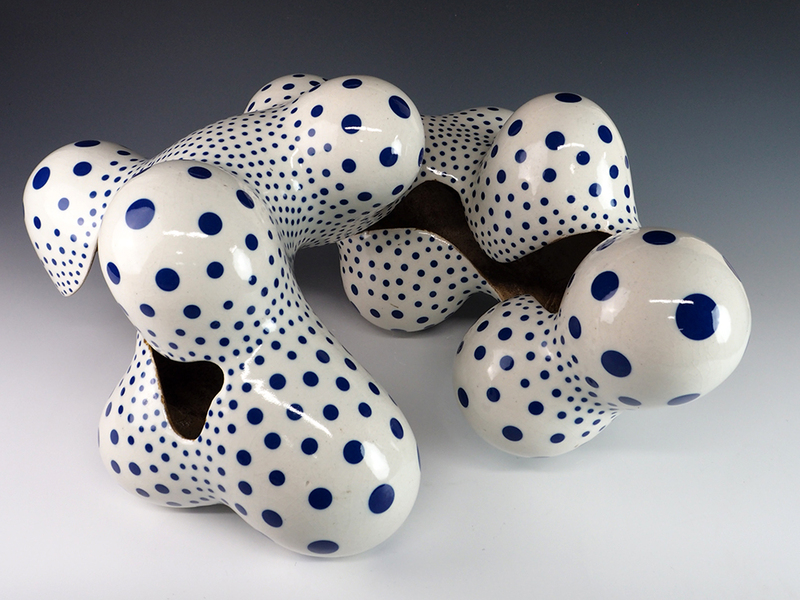 NAKASHIMA Harumi | Ecstatic Series No.4 — Dai Ichi Arts, Ltd.
Nakashima Harumi’s distinctive work is immediately recognizable. Its basic component is the sphere with dots, both in a variety of sizes. There are sinuous cylindrical connections among the spheres, which here seem to grow organically from the central spine. This work is best viewed in the round. The form seems to change drastically when viewed from different angles, revealing a fascinating parade of delightful interrelated shapes. This continual visual change, along with the vibrant spotted pattern, gives the piece a dynamic feeling not unlike the Op Art of the late 1960s. This movement, first catalogued in the 1965 MoMA exhibition The Responsive Eye, exploited the illusions or optical effects of the viewer’s perception. Op Art surfaces are often ambiguous, and seem to change continually with prolonged or ambulatory viewing. 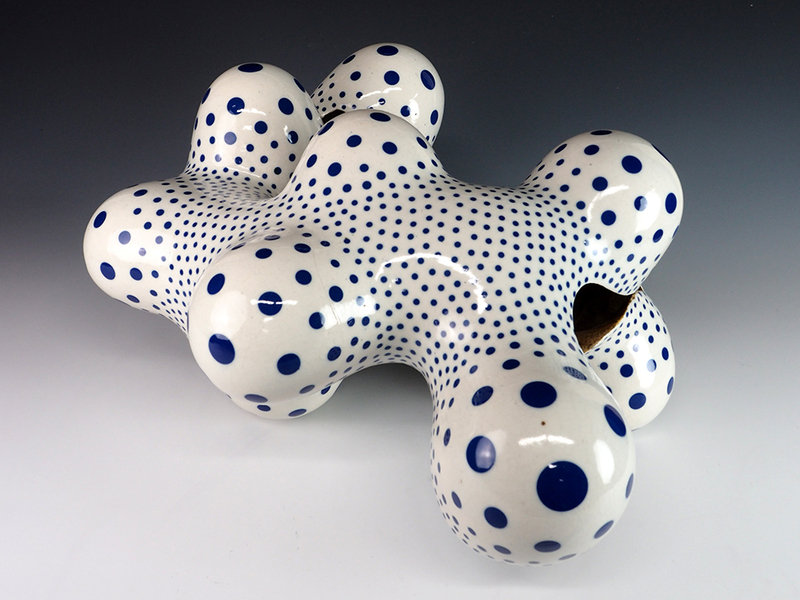 Nakashima here also plays with the long tradition of blue and white ceramics, adding his own playful work to this historical style.